BRYAN EATON/Staff photo. 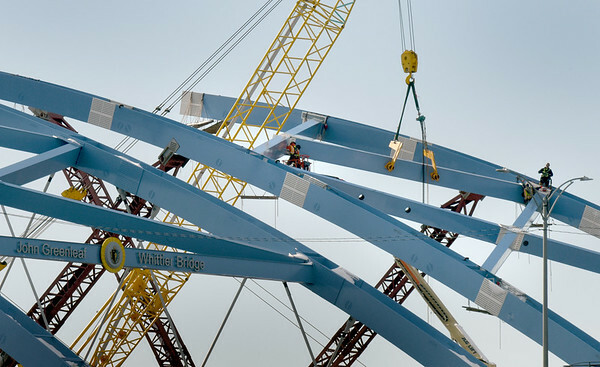 Riveters were on the two new arches of the southbound span of the new Whitter Bridge on Interstate 95 on Tuesday afternoon. The project is expected to be completed in late summer or early fall.